Blizzcon 2018 - Blizzard Entertainment's almost annual franchise celebration - is under way in Anaheim, California this afternoon. 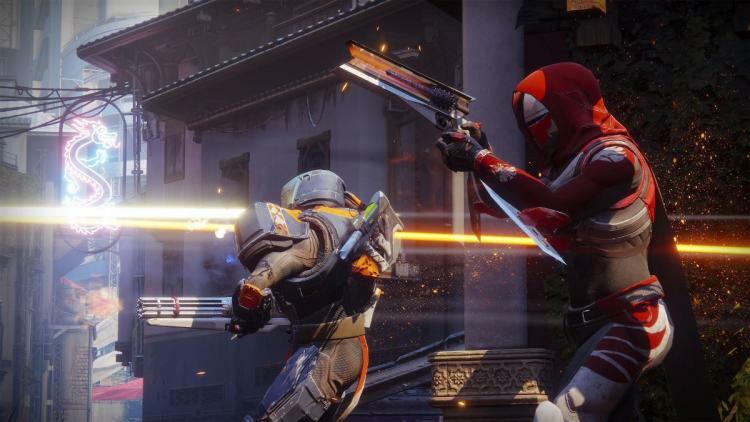 While major announcements are still pending, Destiny 2 developers Bungie were also guests at the event to announce a special treat for PC gamers who may have not tried the game thus far. From today, and until November 18th, you will be able to log into your Battle.net account and claim a free copy of the base Destiny 2 game, no strings attached. Well, one string: you'll need to activate SMS Protect on your account if it's a brand new one. Then, on the 9th to 11th of November, try the Gambit mode introduced with Destiny 2: Forsaken. The PC port for Destiny 2 is exceptional, including high resolution textures, keyboard/mouse control scheme optimisation, HDR visuals and native 4K resolution support. The Forsaken DLC was released in September and saw a major turning-point in the story and a rejuvenation of the Destiny 2 player base. Download the Battle.net App at Battle.net, and get playing today.